We have 11 cottages on site giving accommodation for 56 guests which makes Polmark Beach Cottages perfect for large groups. From extended families to wedding parties or golf parties we are happy to customise bookings and help make organising as easy as possible. Get in touch to ask about prices. 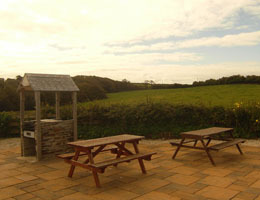 There’s plenty of room for your group to relax in the garden courtyard around which most of the cottages are situated. 2013 sees the development of the main house into two new cottages. As our self-catering cottages are spacious and fully equipped there is no need to eat out. Try cooking fresh fish landed in Padstow, or barbecuing on our sun terrace. The area has lots of activities for groups of all sizes. 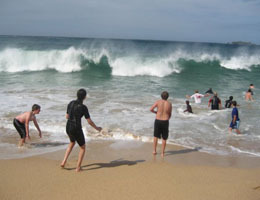 Our location close to the beach means you can easily go swimming or surfing. We have negotiated a guests discount with the Harlyn Surf School for surfing and watersports and can offer half price golf at many local courses. 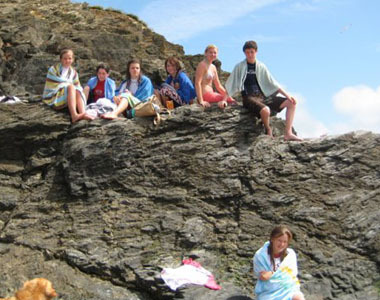 Other activities include cycling along the nearby Camel Trail, bikes can be hired on the trail.